The Pledge of a National Rose.. Dedicated to those who have, dedication of service & those serving, heaviest of burdens are the nation’s calling for procurement of service to vital interests of a Nation.. Enduring the dilemma, of national interests and blatantly disregarding personal saftey, with monumental proportions of bravery & dedication to the proposition of freedom.. 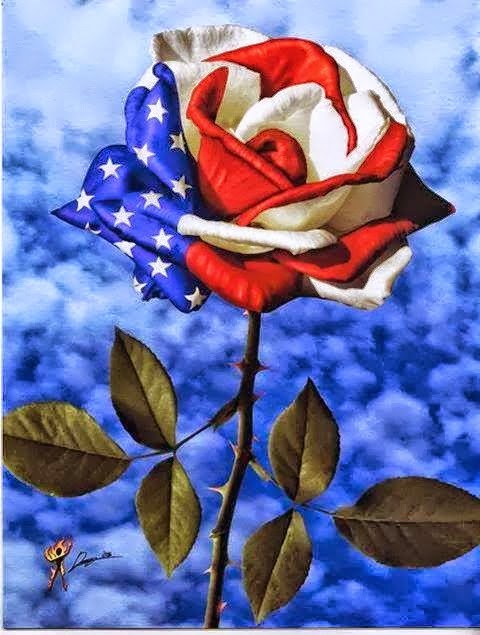 Colors of Independace a Constitution of our forefathers forward-looking leadership true visionaries to idea’s of purity & dignity, a freedom; of human rights to express, & right to bear arms, all speeches of & any religious preference..